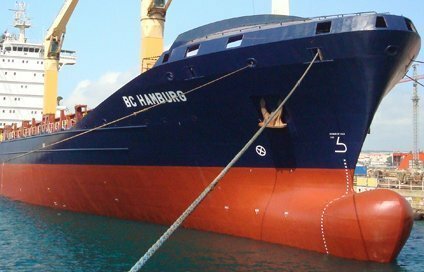 German feeder containership specialists Leonhardt & Blumberg Reederei and Buss Shipping have agreed to merge their ship management activities, forming a new venture operating a combined 55 vessels. The joint venture, named Leonhardt & Blumberg Shipmanagement, will be managed by a board of Christian Rychly, Torben Kölln and Mathias Gaethje. Leonhardt & Blumberg operates containerships ranging from 1,500 teu to 3,600 teu capacity while Buss Shipping’s fleet consists of 17 vessels with two newbuildings to be delivered later this year.